Digital x-rays, digital images, and computers in each room for paperless charting. 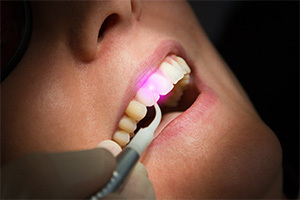 Laser dentistry may seem like advanced technology, but dentists have long been enjoying its benefits. From gum disease treatment to laser root canal therapy, dental lasers have definitely found a home in the dentist's office. A dental laser isn't as scary as you might imagine. It's actually a fairly compact device that generates a precise beam of concentrated light energy via a very narrow fiber optic cord. When the light beam enters the targeted tissue, it "cuts" it away, essentially vaporizing it while leaving the surrounding area intact. The beam also sterilizes the area and coagulates blood vessels, which minimizes infection and bleeding. All this without the annoying sound of a drill or the pain of an incision! 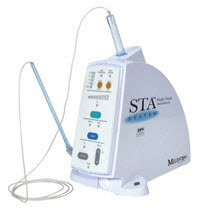 Dr. Jorgensen is proud to offer the Wand STA®– Single Tooth Anesthesia System. The Wand is a computer-controlled dental injection. The flow rate of the anaesthetic is controlled and slowed down by a computer. 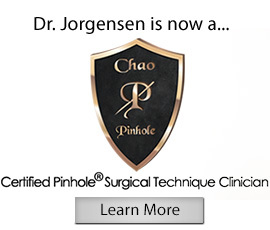 This means that the injection is guaranteed to be slow and steady and more comfortable than traditional injections. 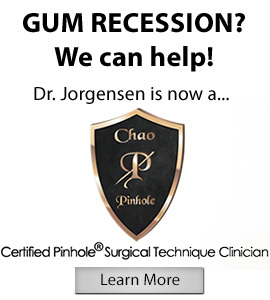 Our goal is always to provide you with a pleasant dental experience. 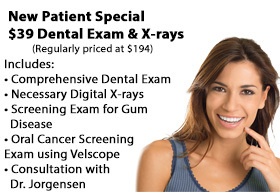 At Advanced Dental Concepts, your Vancouver dentist of choice ,your safety is our number one concern. We are pleased to be using a cutting-edge sterilization system, “Lisa” from A-dec. Lisa provides the highest Standards of protection for our patients. • A pre-vacuum cycle pulls out contaminated air from the sterilization chamber, minimizing the number of pathogens that we need to eradicate. Then the vacuum pulls very hot steam through into the chamber to actually sterilize the instruments. • The load is then dried in a post-vacuum cycle to complete the sterilization process. • An effective drying cycle is imperative to protect dental instruments from corrosion and to prevent re-contamination. Some sterilizers skip the drying cycle risking damage or re-contamination. The Lisa sterilizer dries materials in a post-vacuum cycle so the finished load remains sterile and corrosion is eliminated. The result is instrument sterilization of the highest standards. Our patients can rest assured that their care with us is safe. At Advanced Dental Concepts, your Vancouver dentist of choice, we now offer x-ray imaging that shows the mouth and teeth in 3-D, called Cone Beam imaging. With minimal radiation, the structures in the mouth can now be seen in all dimensions on a computer screen before any dental work has begun. 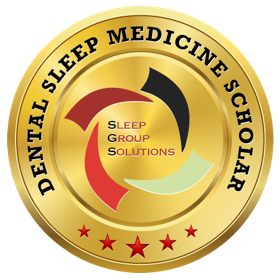 This allows for better and more accurate diagnosis of dental problems as well as the formulation of the best treatment solutions. This is especially important in planning and preparing for the placement of dental implants, as well as performing complex root canals and surgical procedures where it is imperative that structures in the mouth are visualized accurately. Cone beam technology assures our patients that they will receive the best treatment, tailored for their needs, and performed without “guesswork”.